Archives/We celebrated Peter´s 60th birthday! We celebrated Peter´s 60th birthday! 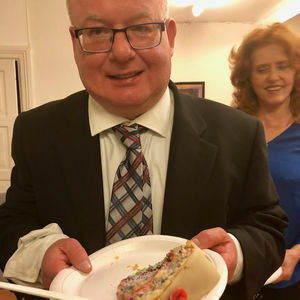 After the Maundy Thursday worship service this afternoon, Oslochurch celebrated Peter Holand´s 60th birthday with a delicious buffet from many countries, cream cake, and good words! Pastor Jan-Aage emphasized Peter as a faithful friend during the shifting times. Peter and Jan-Aage have known each other since 1998.